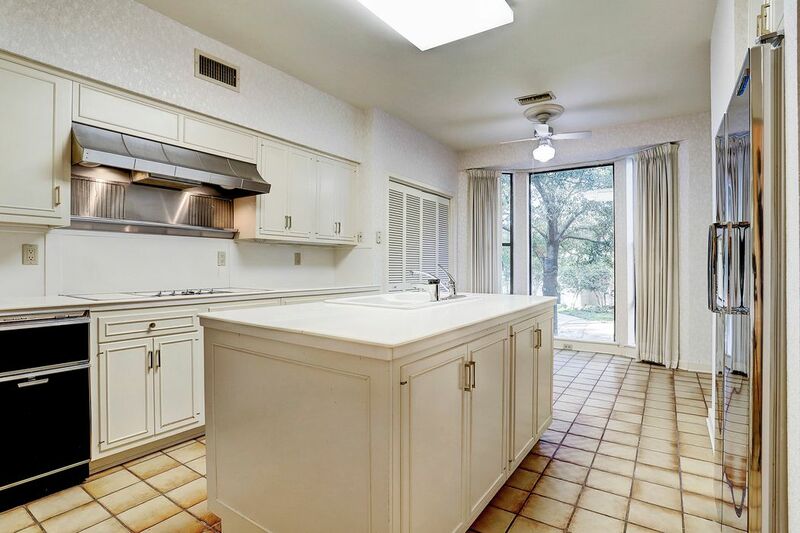 111 Glynn Way Drive, Houston, TX 77056 | Martha Turner Sotheby's International Realty, Inc. 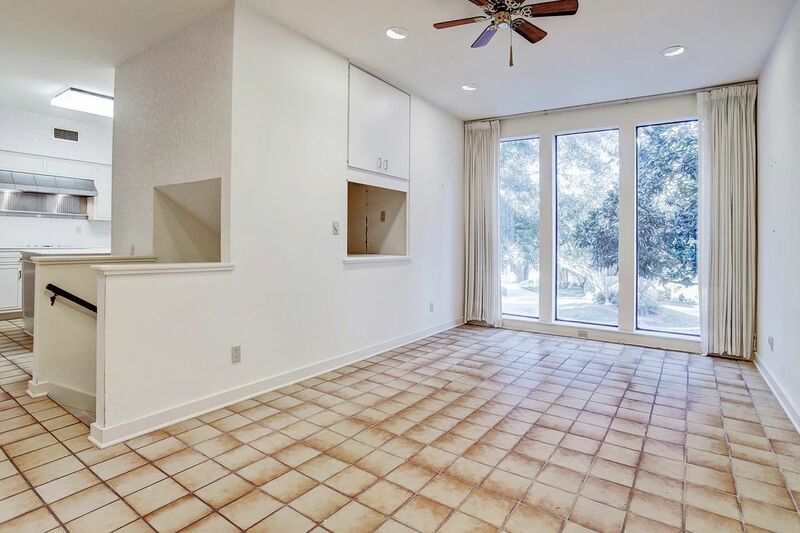 The rear balcony is accessible from the Living Room and from the Master Bedroom and provides a stunning an serene view of an of Buffalo Bayou. Relax on your balcony with total privacy! Enter 111 Glynn Way to a gorgeous, light and bright atmosphere. 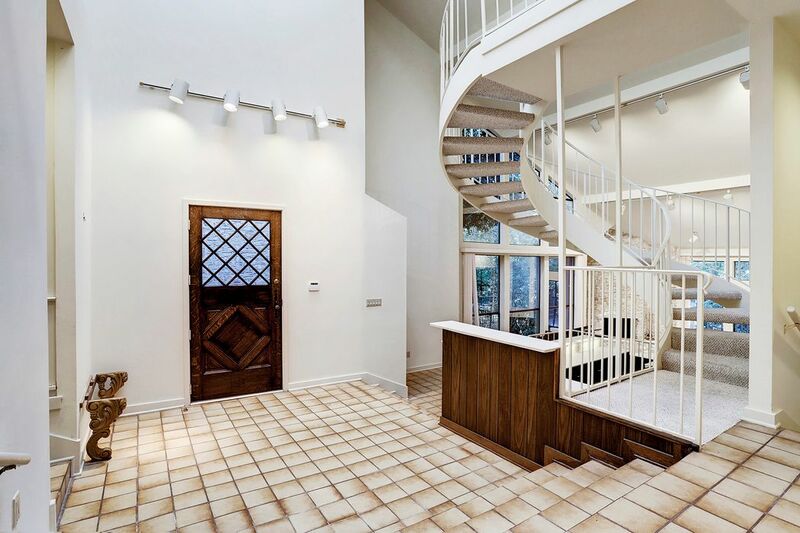 A large skylight illuminates the grand entry, wet bar, and large open spiral staircase. The home is a great space for entertaining large and small groups. A view from the Entry facing towards the Living Room, Wet Bar and balcony access. The steps up on the right of the photo lead to the formal dining room. 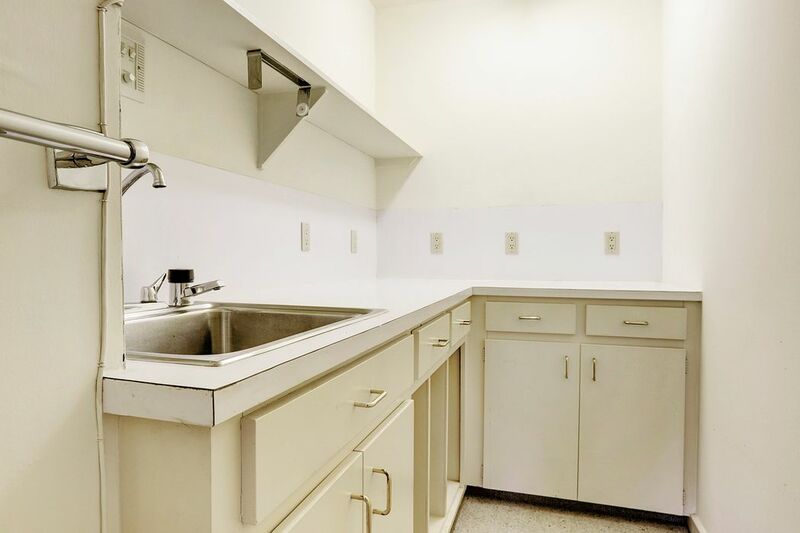 The Wet Bar has lighting inside the bar surface, plus a stainless steel sink, an ice-maker (as-is) and plenty of storage (some with locks) for all your bar ware! There is even a wine rack on the side for wine storage! Another view of the wet bar showing the swinging door for access and the surface lighting. An ideal setup for a novice or expert bartender! 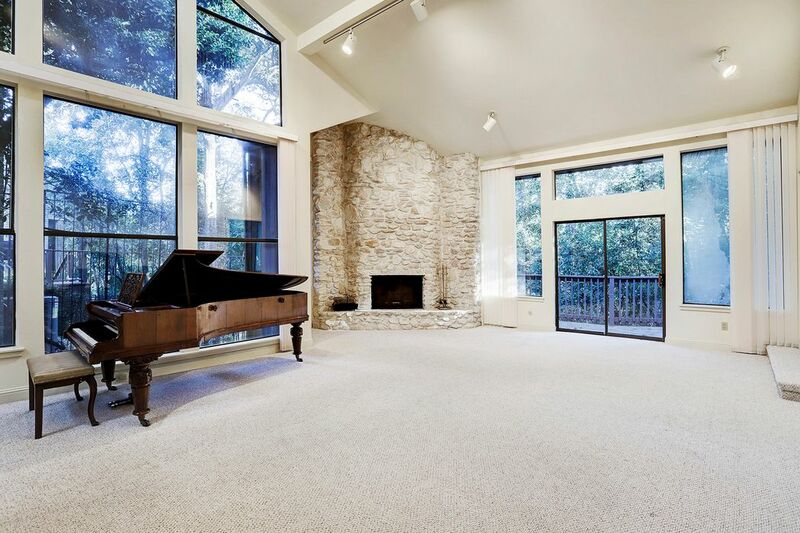 The grand Living Room features a recent carpet and a gorgeous stone fireplace. The large balcony is accessed either through the doors shown here or from the adjacent Master Bedroom. 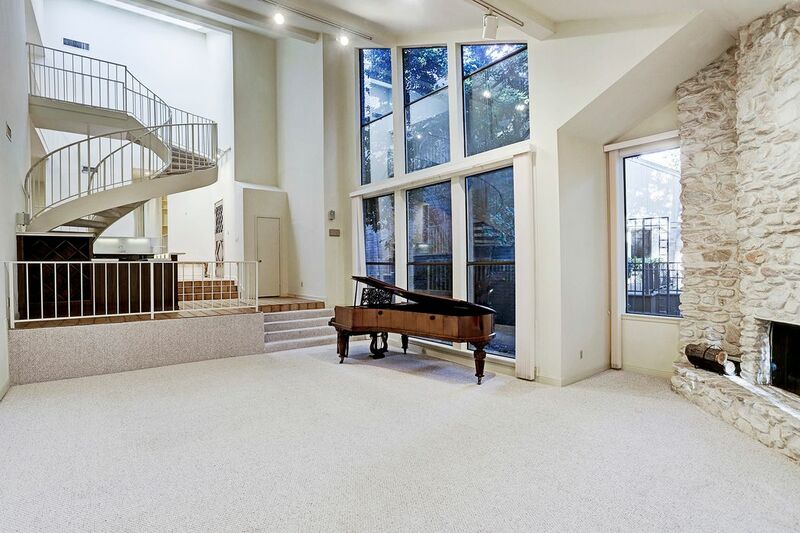 This view of the Living Room showcases the floor-to-ceiling windows, the vaulted ceiling, the grand spiral staircase and a the front entrance with the grand skylight. A step up from the Living Room leads into the luxurious Master Bedroom Suite. 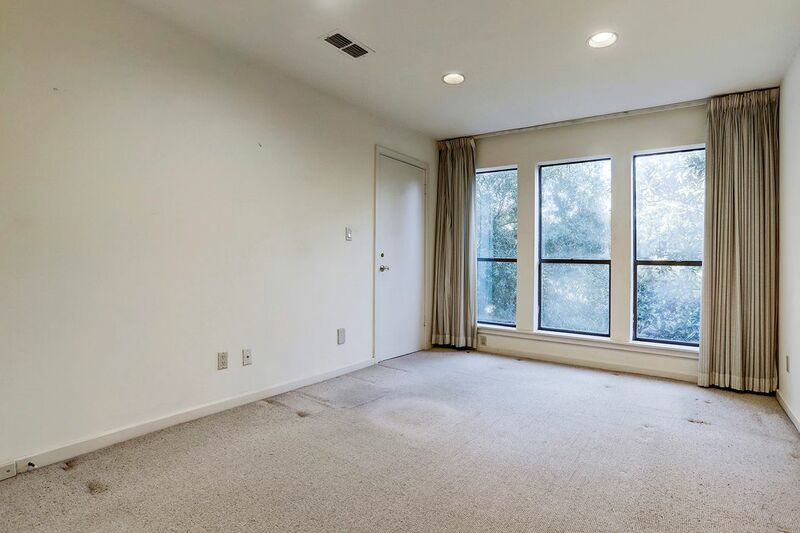 The Bedroom area has a built-in dresser, pictured here, and allows for balcony access to the large private balcony, shared with the Living Room. The hallway in the Master Suite, leading to the Master bathroom, and facing back towards the Master Bedroom. 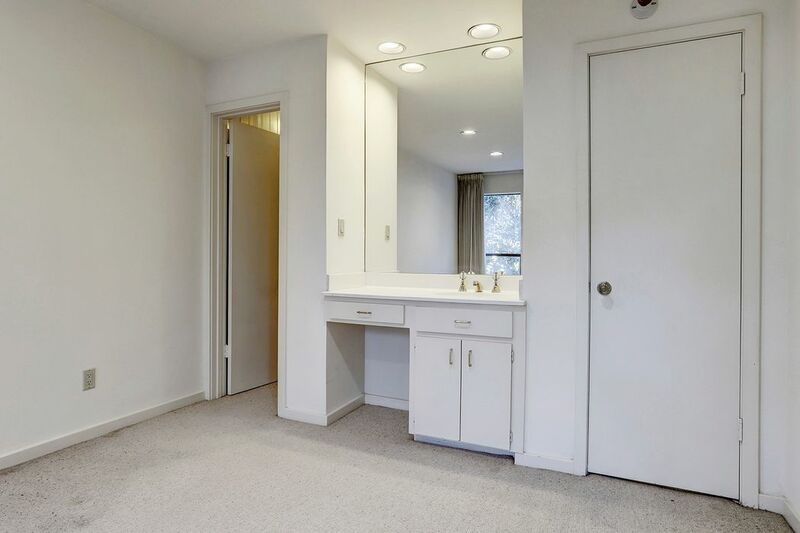 There is a long built-in dresser with tons of storage pictured here, as well as a large mirror on the wall. A wonderful way to get dressed! 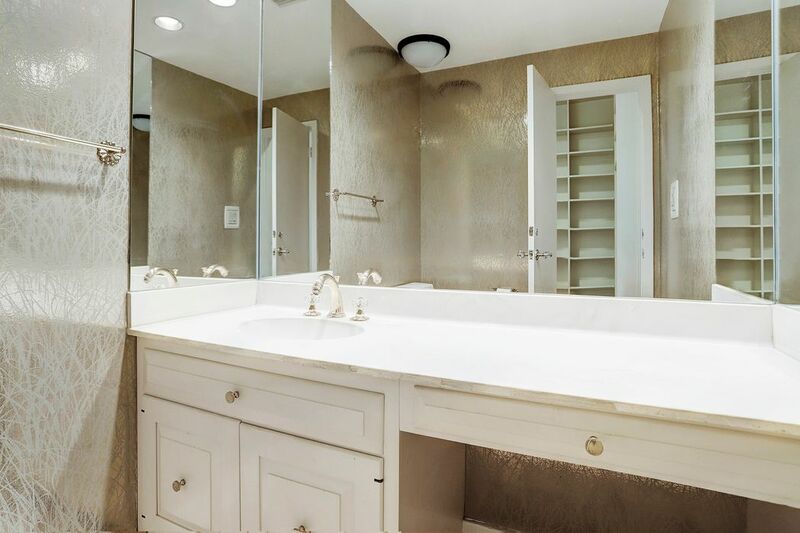 The grand Master Bathroom features separate jetted tub and walk-in shower, as well as a private water closet, dual closets, and dual vanities, each with their own sink and storage. Mirrors surround the tub and provide a truly lavish experience. 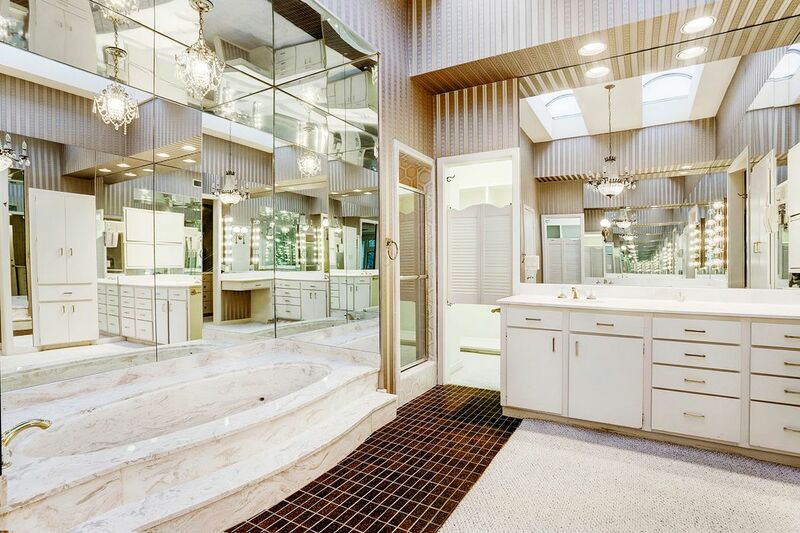 Another view of the Master Bathroom showcases the extensive mirrors and one of two vanity areas. 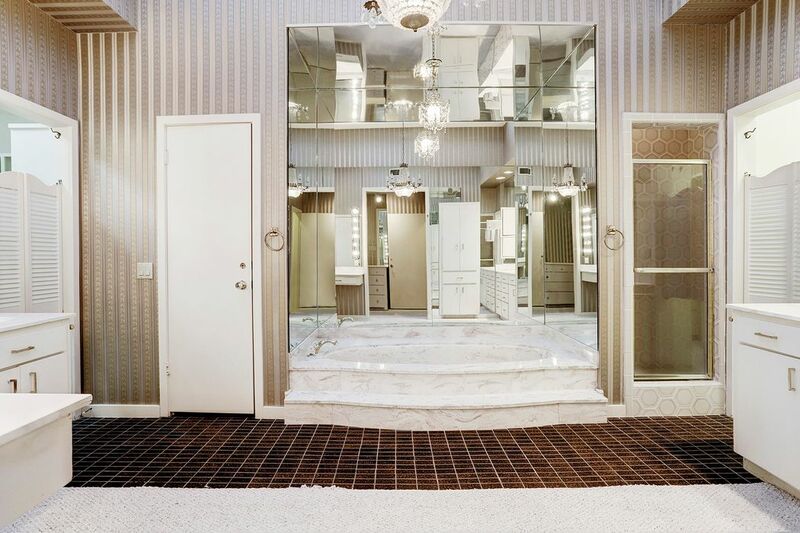 A Master Bath fit for royalty! 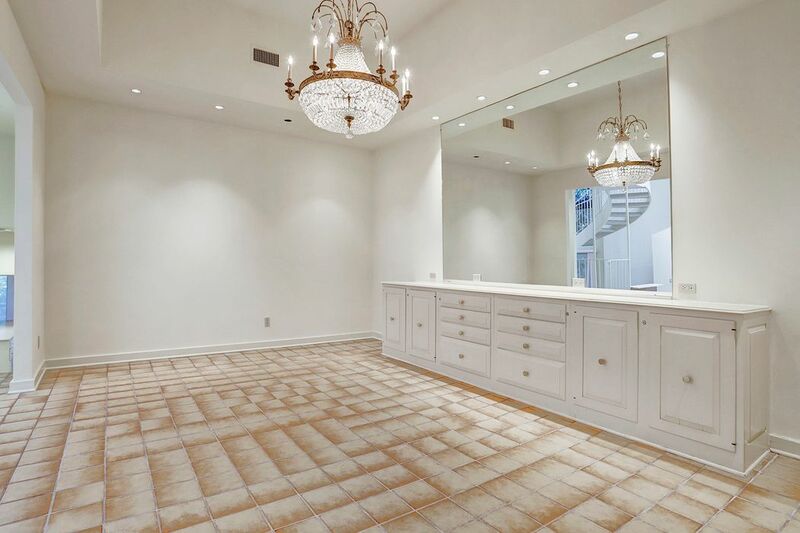 The Dining Room is a grand formal room with a built-in buffet, mirror and chandelier. A perfect room for even the largest Dining Room Table! Another view of the Dining Room shows the view back towards the wet bar and Entry. 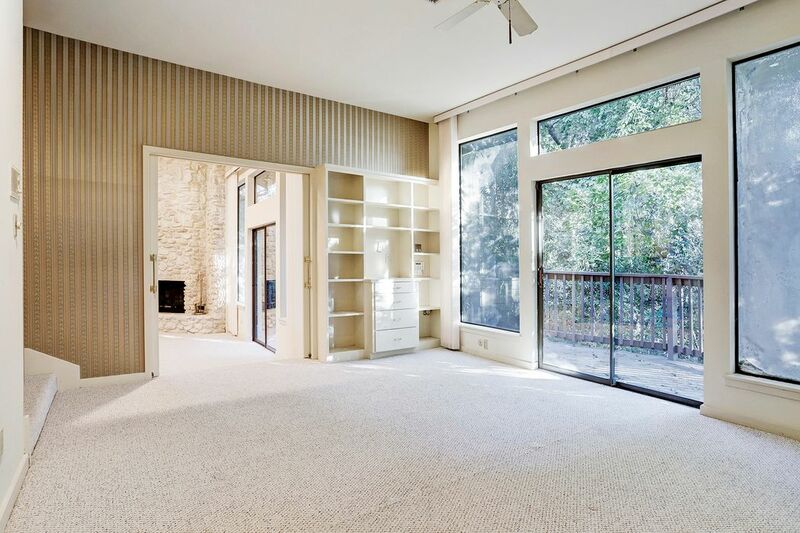 This room is perfectly situated for an ideal flow, making entertaining a joy and a breeze! 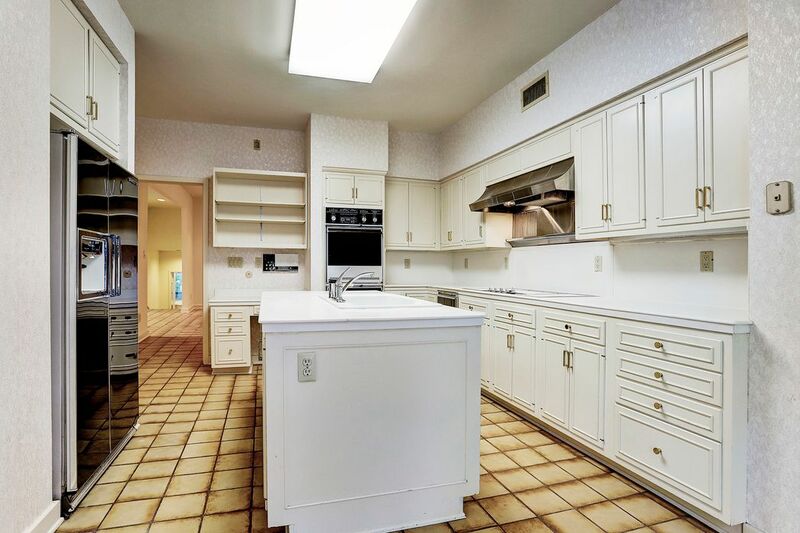 The Island Kitchen features double ovens, a double sink with garbage disposal and even a trash compactor! The Thermador electric cooktop is situated on the right side of the photo. There is even a planning desk with under counter knee space built in! 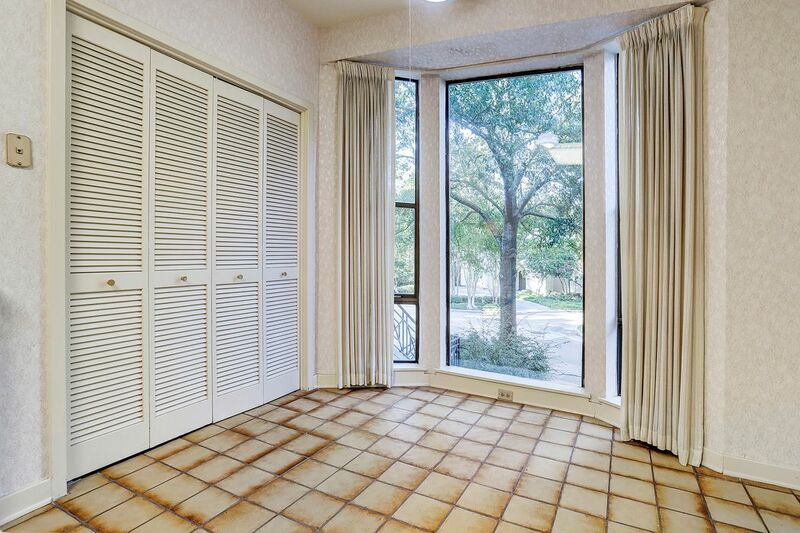 A close up of the Breakfast Room showcases the large windows and the utility closet with bi-fold doors. The Elevator and pantry are on the right side of the photo. The Den is just around the corner from the Kitchen/Breakfast Room and also has 3 floor-to-ceiling windows. The steps down on the left of this photo lead to the dual (2) single-car garages. 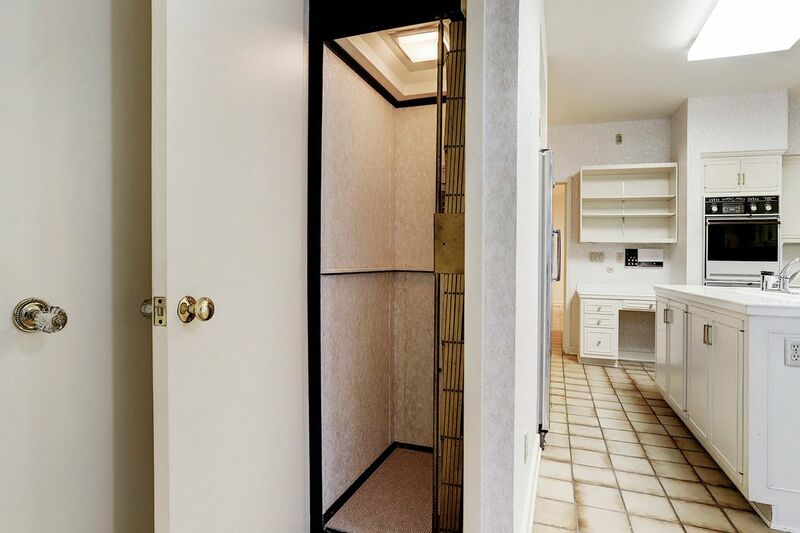 The powder bath has an under counter knee space and is ideally situated between the Den/Family Room and the entrance, next to the Library nook (visible through the door in the photo). 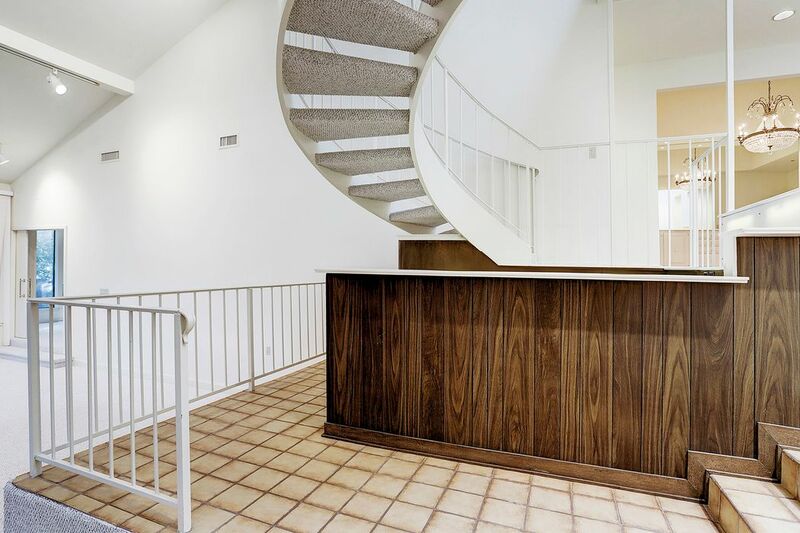 Up the spiral staircase, there are multiple closets for storage, as well as 2 bedrooms, each with their own en-suite baths and walk-in closets! This is one of two of the en-suite baths upstairs. The 2nd floor bedroom to the right also has an en suite bath and a walk-in closet. Both bedrooms have a tub/shower and this room even has a built-in DARK ROOM! The dark room inside the 2nd floor bedroom could be an extra closet or even converted into a study. 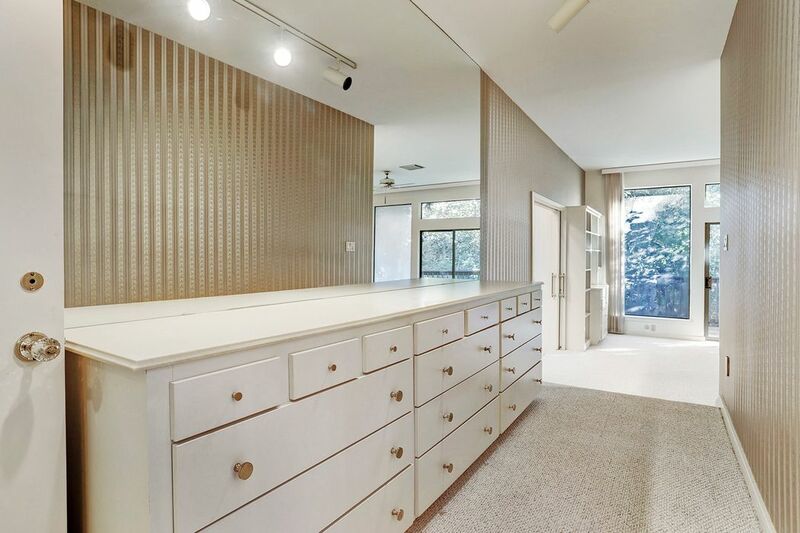 There is a large stainless steel sink installed in this room, as well as tons of built-in shelves and cabinets! Welcome Home to 111 Glynn Way! $550,000 3 Bedrooms3 Full / 1 Partial Baths3,358 sq. 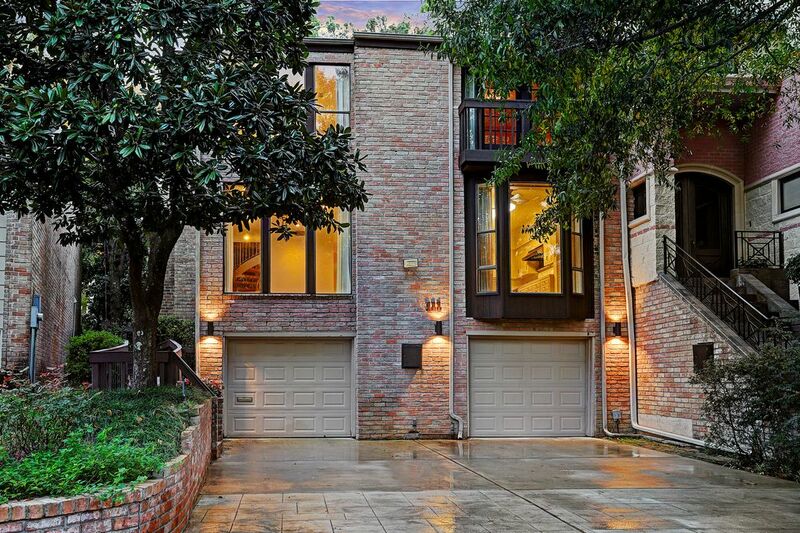 ft.
Immersed in grand entertaining and luxurious details, this home is a well- hidden jewel. 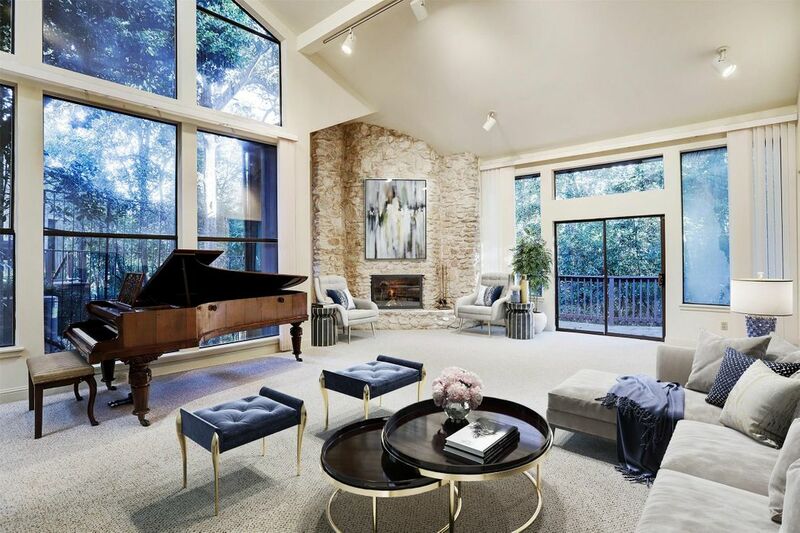 This spectacular residence rests on a gorgeous lot right on the edge of Buffalo Bayou in prestigious Briar Manor, in the heart of the Tanglewood Area. 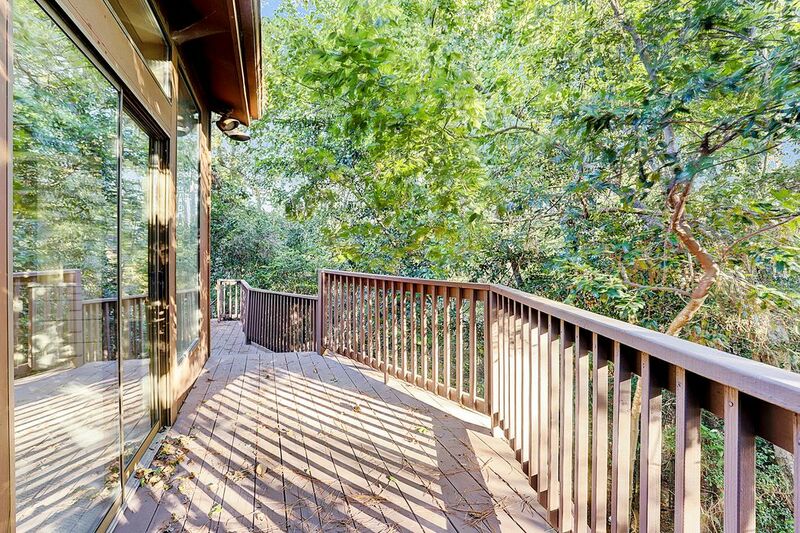 The wooden walkway leading to the front door welcomes guests to the serene setting. A large skylight ceiling bathes the dramatic two story entry in light. 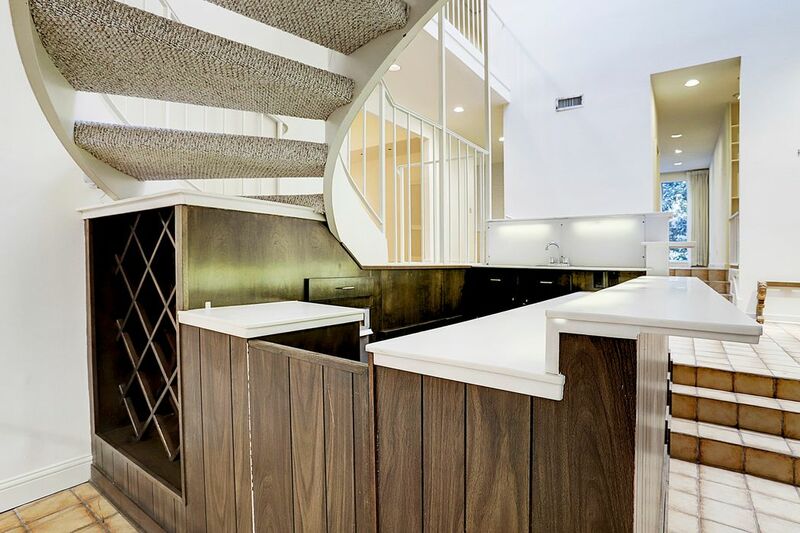 Steps down to a wet bar invite you further to the carpeted large two-story formal living room. A wood-burning stone fireplace serves as the centerpiece of the living room where steps lead to the master bed and bath, through dual large pocket doors. 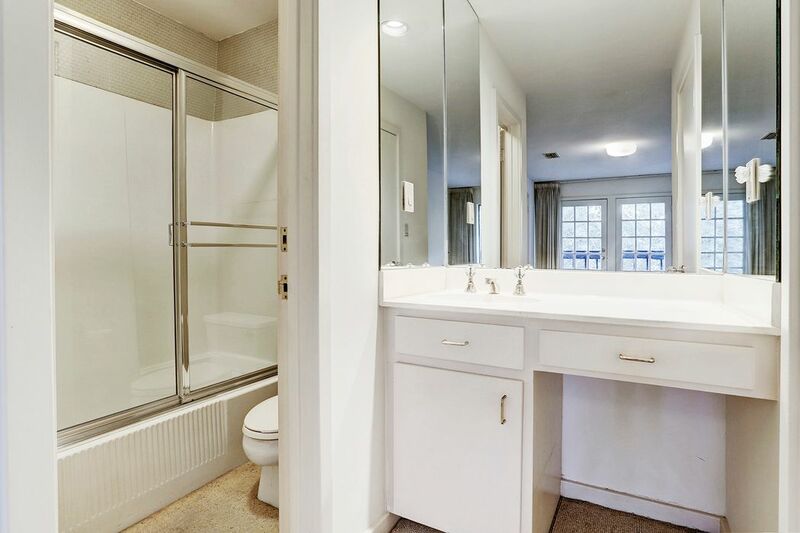 The master bath features skylights across the high ceiling, as well as a separate whirlpool tub and walk-in shower, dual closets, and dual vanities, one with knee space. 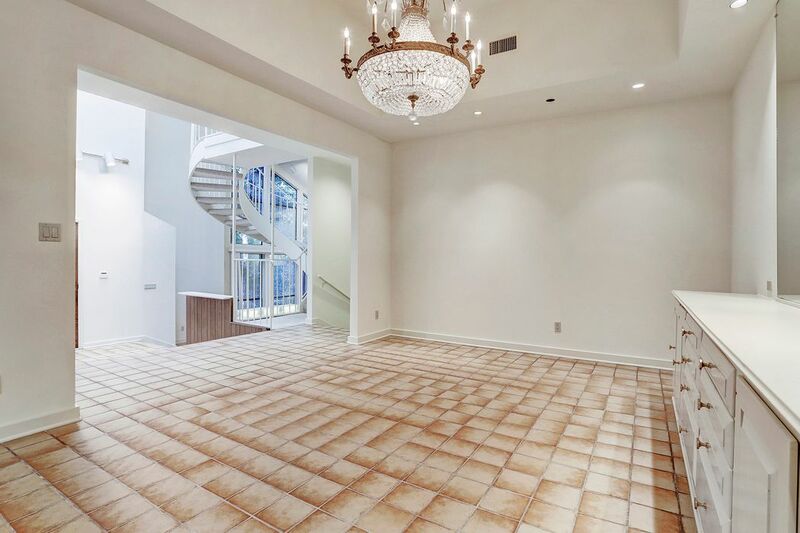 Steps up from the entry and from the master suite area lead to the elegant formal dining room with a coffered ceiling, showcasing an illustrious crystal chandelier, mirrored wall, and built-in buffet with lower cabinets and drawers. 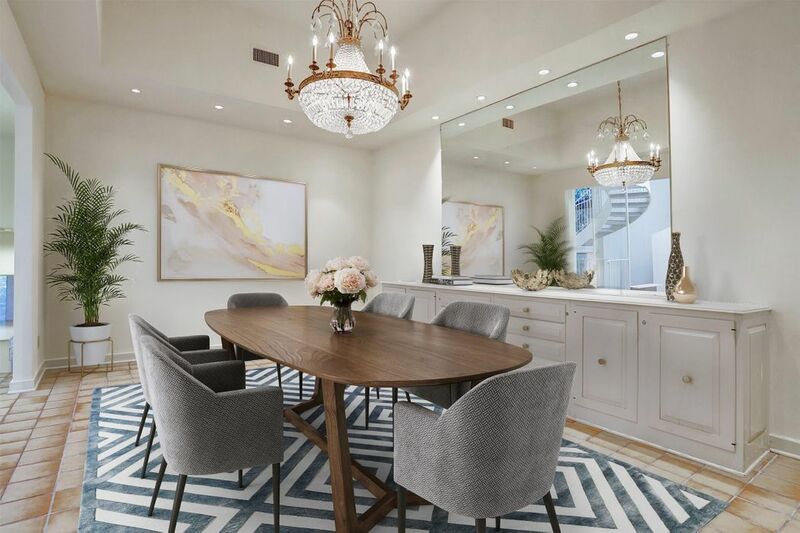 The Dining Room flows seamlessly into the island kitchen and breakfast area with walk-in pantry and elevator access up to the second floor bedrooms and below to the garage areas. 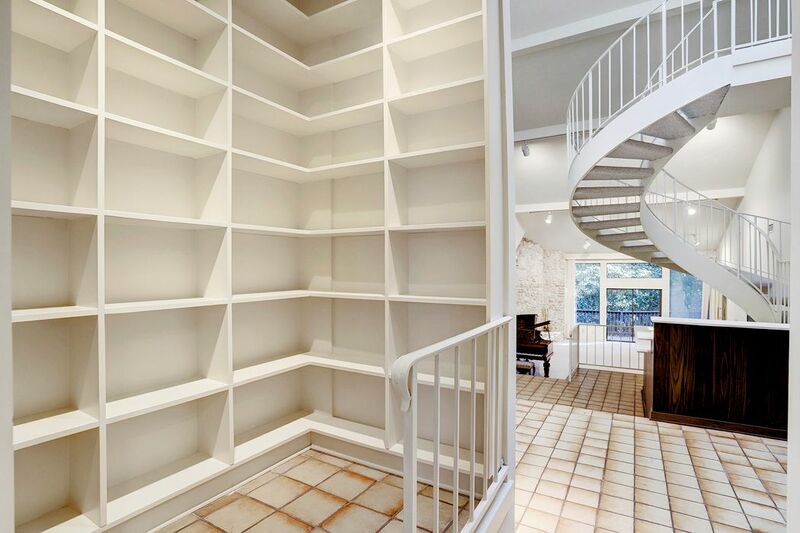 Around from the kitchen and up from the entry leads to the formal powder bath and the relaxing library nook, with walls of floor-to-ceiling bookcases, ideal for any book collection. 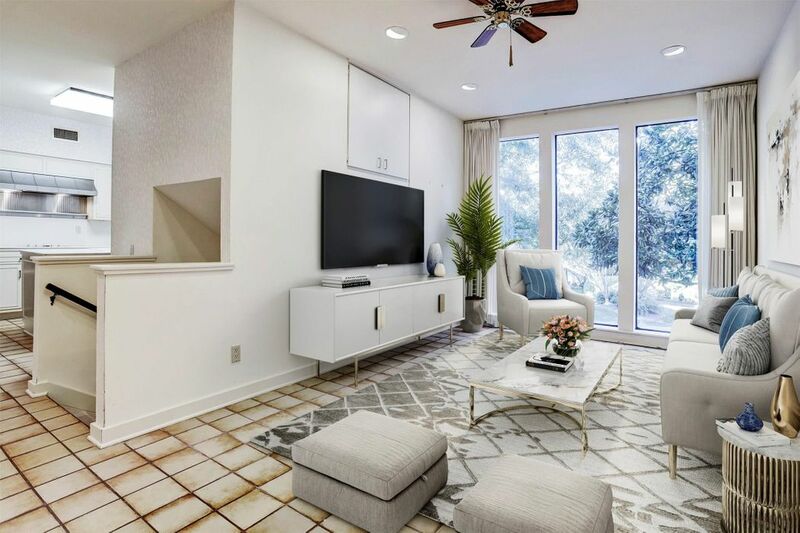 Adjacent to the powder bath and library nook, the den/family room features floor-to-ceiling windows and a large built-in entertainment center. 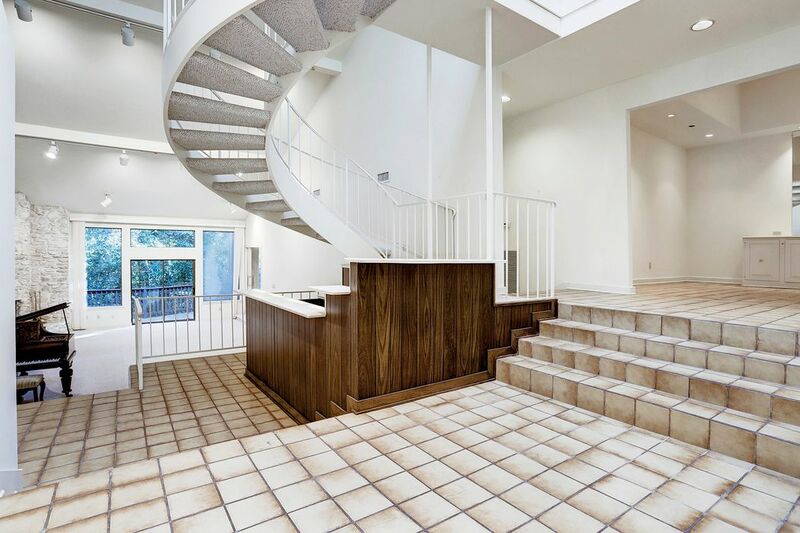 A statement of beauty, the spiral staircase in the main entry area leads up to the second floor where a long catwalk allows a view of the front entry and living room from above. 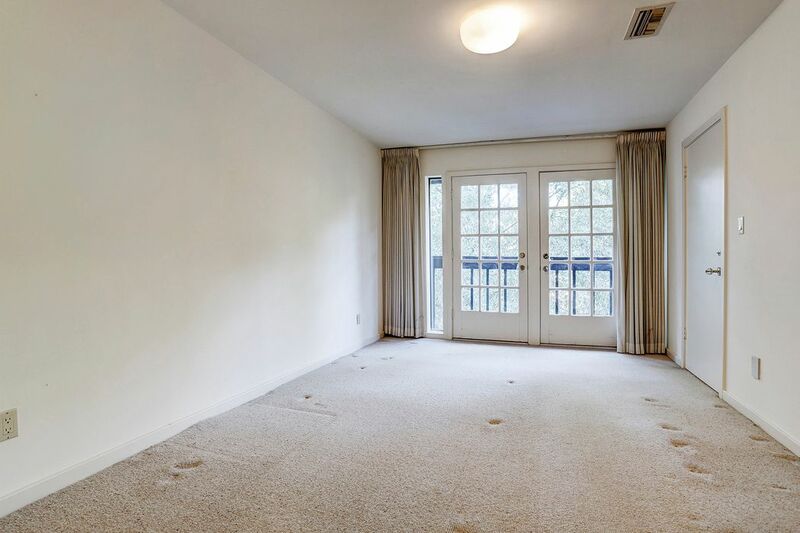 Two bedrooms await on the second floor, as well as multiple closets and elevator access. Each of the two second floor bedrooms has a walk-in closet and a full bath with a tub/shower. This home is ready for move-in or customize decor to your taste.